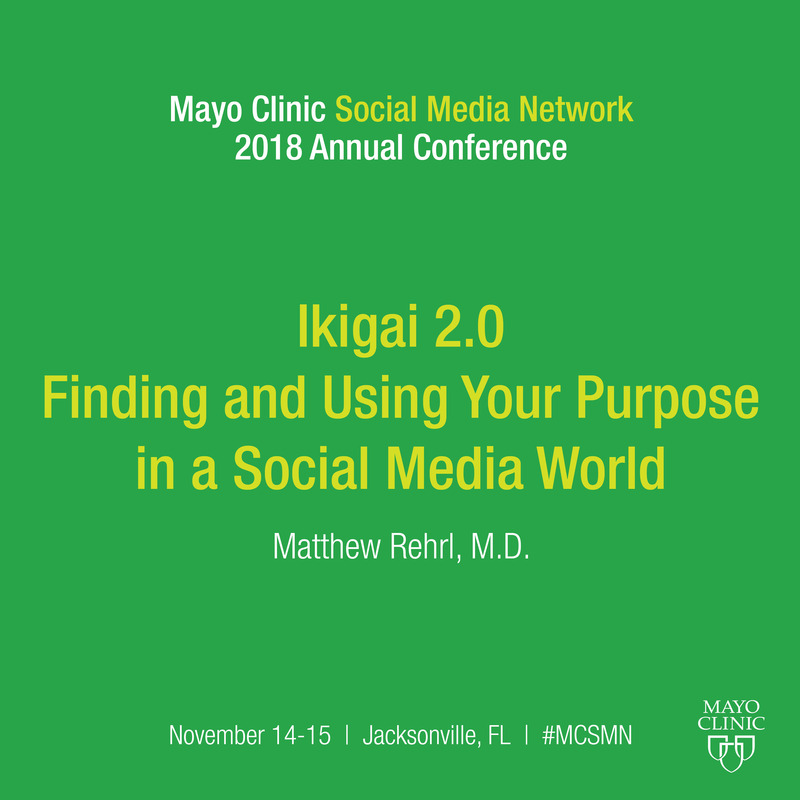 Matthew Rehrl, MD, will present "Ikigai 2.0 - Finding and Using Your Purpose in a Social Media World" at the Mayo Clinic Social Media Network 2018 Annual Conference. To learn more from Dr. Rehrl and other expert speakers, please join us! This term was popularized in the West at a 2009 TED Talk by author and explorer Dan Buettner (How To Live to Be 100+). In this talk, he discussed the regions of the world he called The Blue Zones, small pockets of people where there is a disproportionately high percentage of older individuals living healthy, active lives well into their late 90s and 100s. Mr. Buettner suggests, with reasonable supporting evidence, that one of the things many of these centenarians have in common is they still have a deep purpose in life—an ikigai. 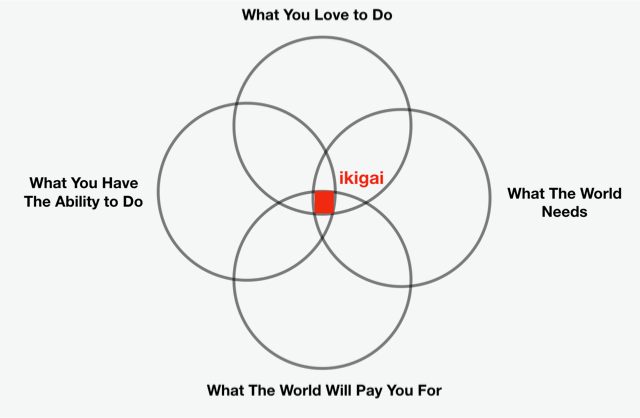 Since that time, through the personal development and business community, a westernized version of ikigai developed describing Ikigai as the confluence of four elements, illustrated by the Venn Diagram. These four questions can be applied to a health care organization’s ikigai to help evaluate and drive a health care organization’s social media. So what's the value of doing this? Built into this system of questions are two topics that should always be top of mind for marketing. First, what are the fundamental evidence-based medical concerns contained in the "what your world needs" question? Second, what is the specific business model (the "how will you get paid?" question) surrounding a specific social media effort. Consider the simple example of a health care clinic improving a tweet about getting the flu vaccine. No doubt a tweet about flu vaccination will be part of most health care organization's mission, and certainly, assuming supply is available, most will have the ability to deliver it. But do you, as a social media gatekeeper, really understand your world's need for it? Are you aware that, according to the CDC, during the 2017-2018 season, the percentage of deaths attributed to pneumonia and influenza was at or above the epidemic threshold for 16 consecutive weeks? Are you aware of the number of deaths in your county? Are you aware of the efficacy of the flu vaccine? Regarding your vaccine business model, are you aware of the published costs of the influenza vaccine or its price at your local pharmacy? Are you aware of any contractual bonuses your organization may have if a certain percentage of your Medicare patients are immunized? Are you aware of the cost of absenteeism to your organization during last year's flu epidemic? Do you understand efficacy is based on vaccine rates where your employees work and reside? Understanding that your social media efforts to improve the immunization rate in your community may save five lives in your county, or may result in tens of thousands of dollars of contractual bonuses, or perhaps save a hundred thousand dollars in lost productivity will put an entirely different spin on your annual social media flu vaccine immunization efforts. Because it goes to the heart of what your organization’s ikigai is: to improve and save lives, using evidence-based medical principles, all contained within a sustainable financial model. By using a four-question ikigai social media model tactical concerns about your content like Facebook post frequency and Twitter brand dilution take on a whole new meaning, because answering these questions will help you better understand the true health and financial cost of your subject matter.